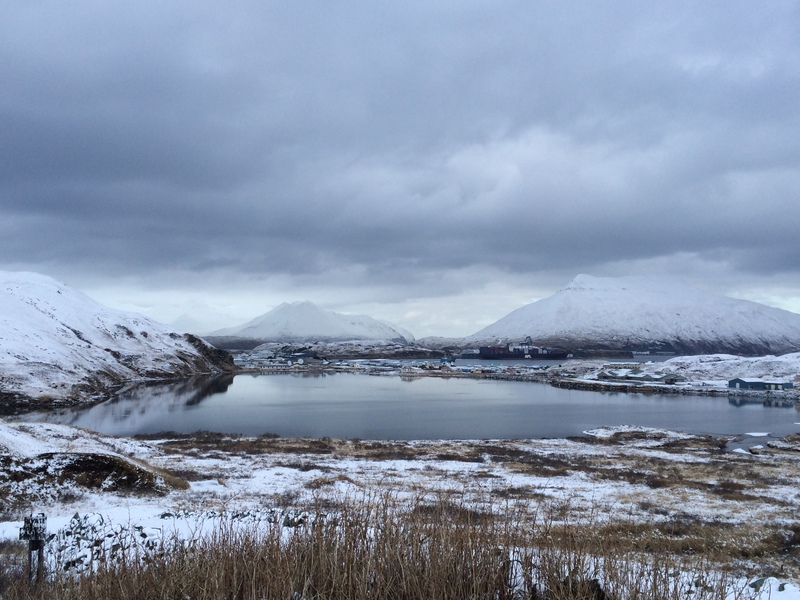 When you land and get off the plane in Unalaska you are happy to stretch your legs and be on solid ground. 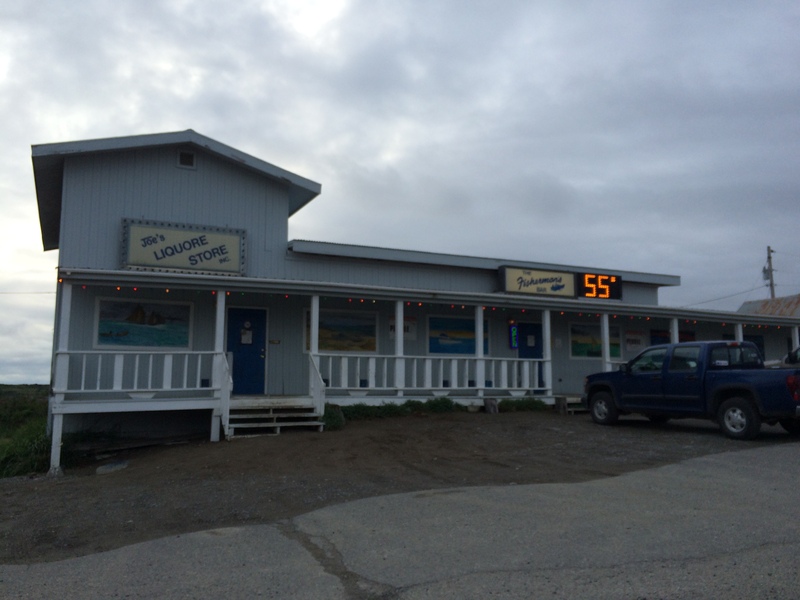 It took over 3 hours to get here with a stop along the way in Cold Bay for fuel. The planes are smaller and the bathroom on them give a new meaning to ‘feeling like a sardine in a tin can”. My friend was there greet me and the first person I met with long time Mayor Shirley Marquardt. That’s how the day continued. Meeting a lot of folks and exploring the beauty of the island. 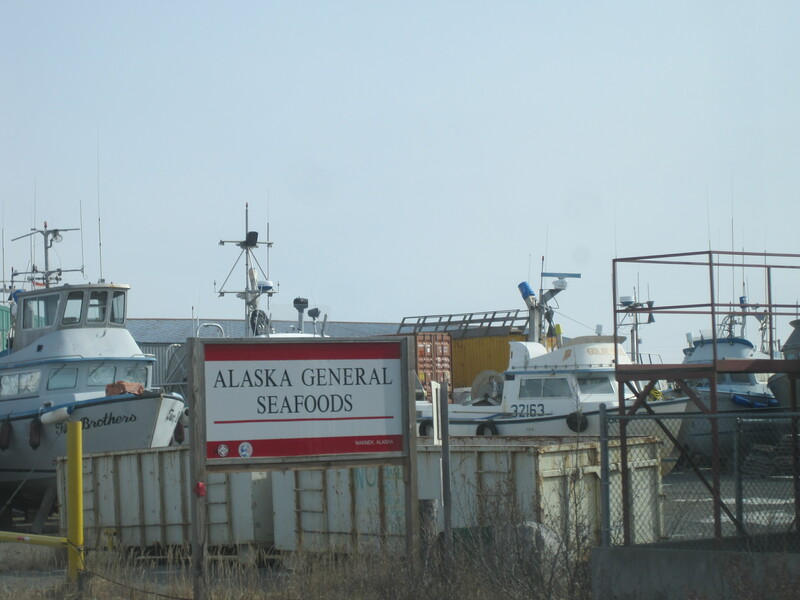 This is the #1 fishing port in the United States for seafood landings and the docks are almost non stop with over 700 million pounds of fish and crab go through there per year. 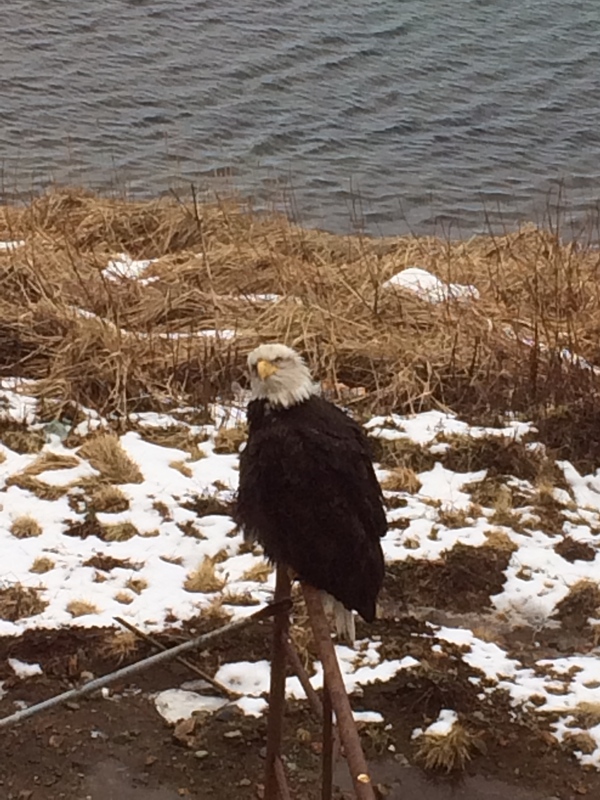 Because of all this fish/crab work there are eagles EVERYWHERE and they are the biggest eagles I have ever seen. The community here is so diverse, options for meals out offer great options and king crab is on every menu! I don’t know if you can ever get sick of those big rich bites of king crab! I ended up spending an extra day/night because the pilot of my plane called in sick and there was no room on any other flight. It wasn’t the worst place I have ever been stuck! That allowed me to explore a bit more. I enjoyed the visit and hope to be invited back again! 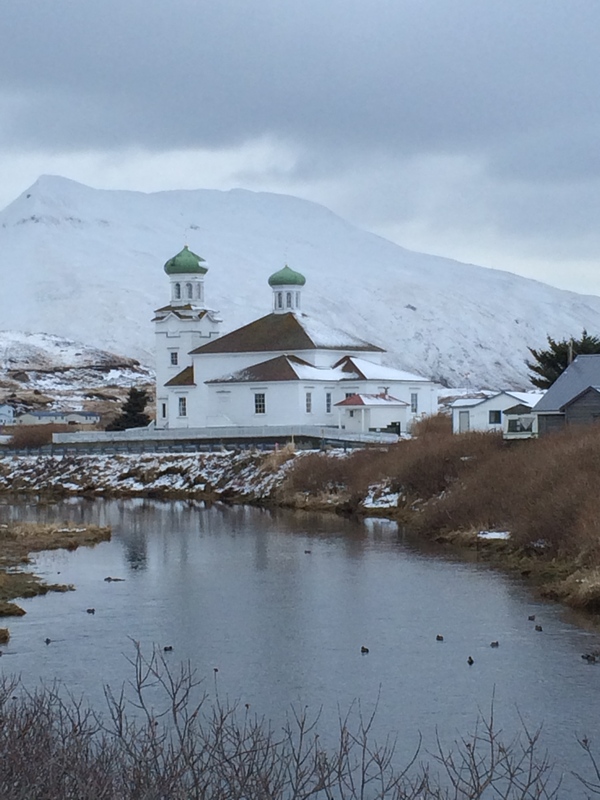 the Cathedral of the Holy Ascension of Christ; the oldest cruciform style Orthodox church in N. America! taken from my hotel window, he stayed out there for a few hours and would stare at me when I came to the window! the view as I was landing! 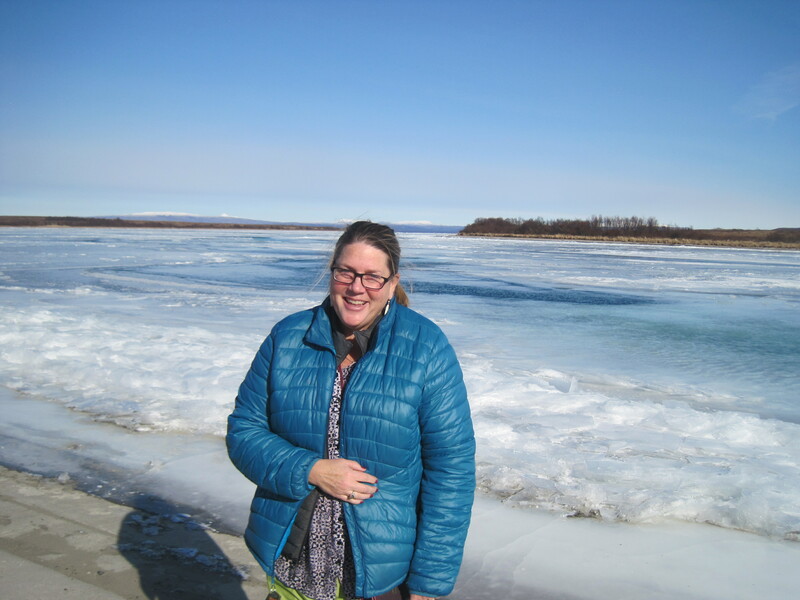 After invited to work with the Lake and Peninsula Borough School District I was thrilled to visit King Salmon, which is located in the infamous Bristol Bay, a quick 1 hour flight south from Anchorage. 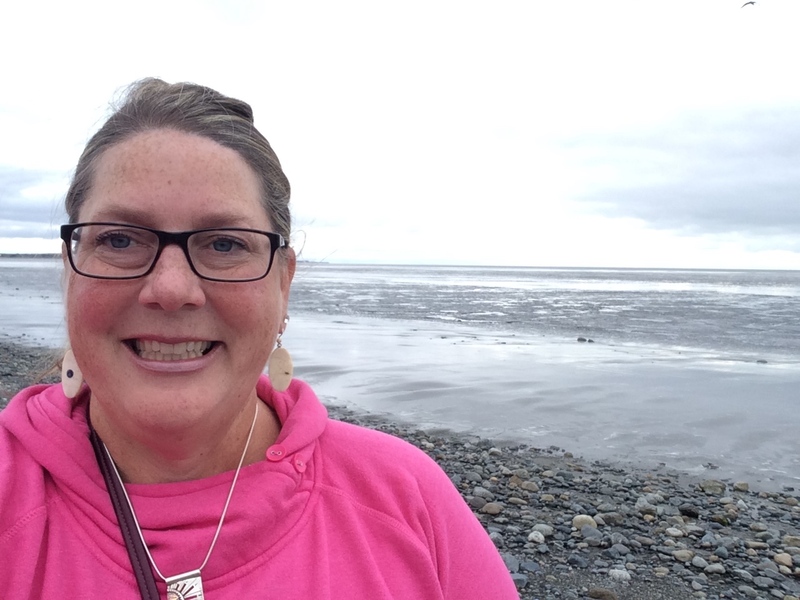 There is a little bit of everything “Alaska” in this region, though it is best known for 1, fishing and 2, brown bears though there are a lot of caribou, moose, wolves and little critters like fox, beaver and of course porcupine! Tourists also come to the area for bird watching with over 150 different species that pass through this area. Lake and Pen School District is about the size of West Virginia. The district represents the following communities, the population as of last census is listed after the site. 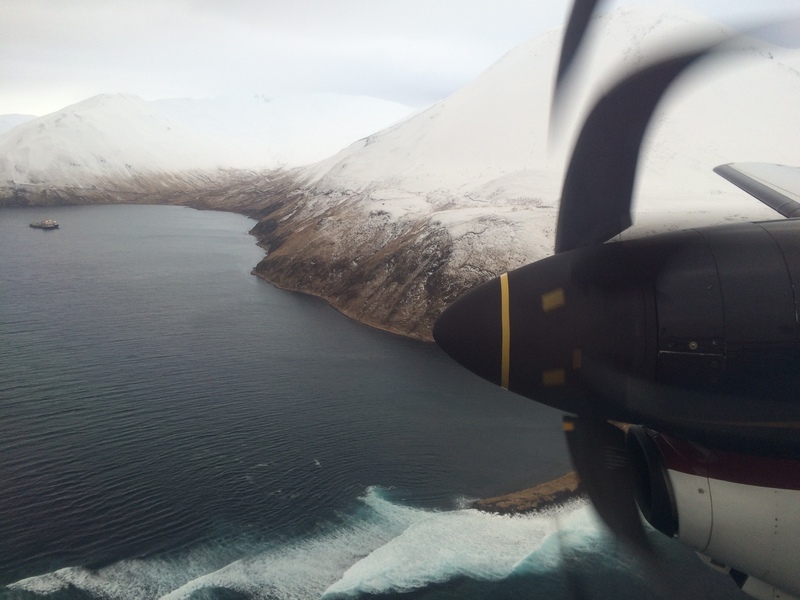 Only 2 of these communities, Newhalen and Iliamna are connected by road, everyone else must fly or boat to other communities. 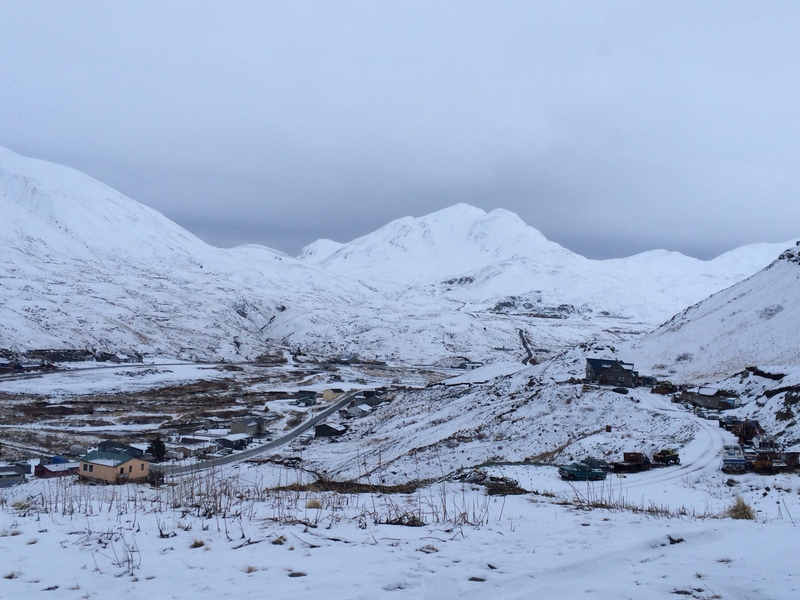 Almost 80% of the population of this area are Alaska Native and the district office is in King Salmon. 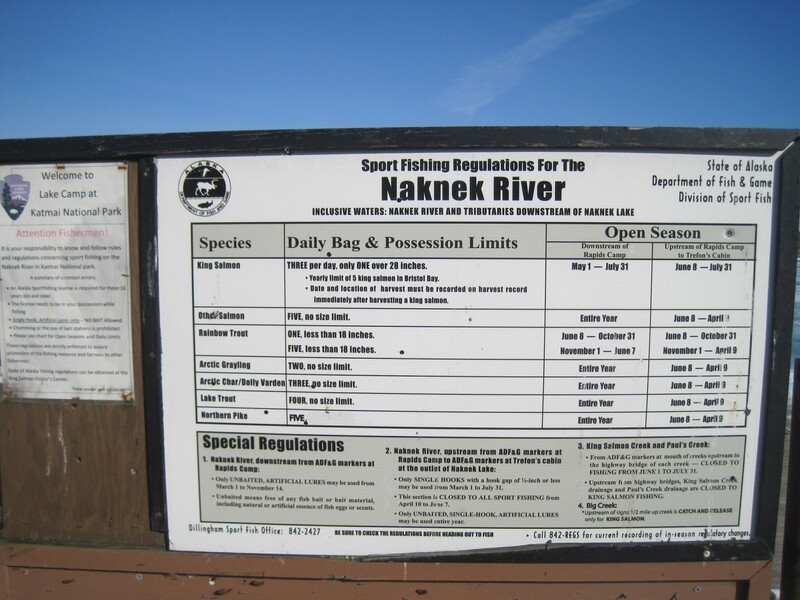 Fishing: There are 3 main rivers, the Naknek, the Kvichak and the Alagnak which are all a fisherpersons dream. 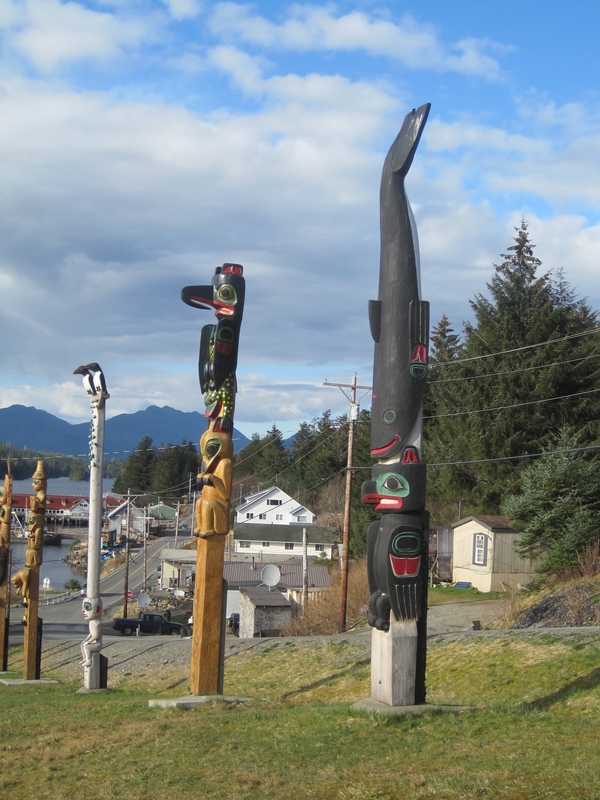 As the name of the area may give away, salmon is abundant in the region as are rainbow, dolly varden, and grayling. As I left the airport on Friday a.m. I was one of the only NON fisherperson on the plane. Each of them was checking 100-200#’s of fish, and because of this, there was too much luggage for the plane. 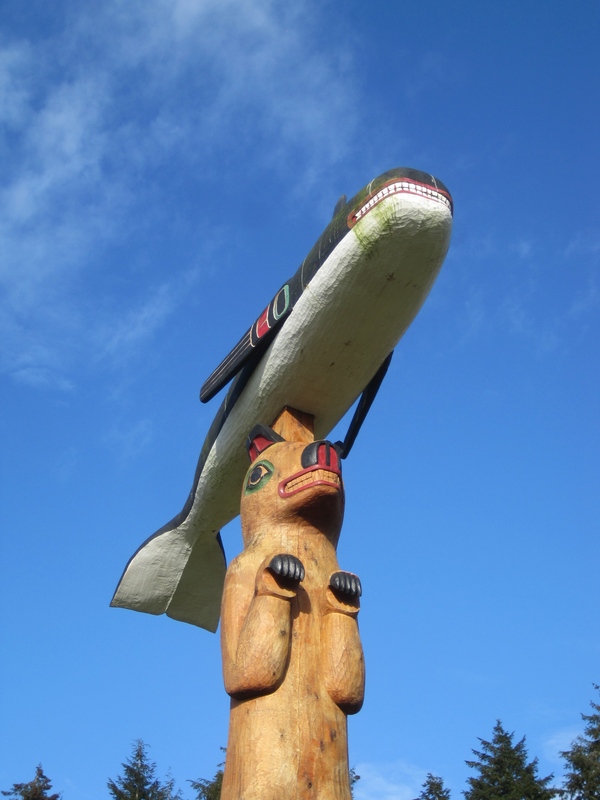 In the end the airline had to leave over 2000#’s of luggage in King Salmon that would be delivered at a later time. Mine arrived home on Saturday! 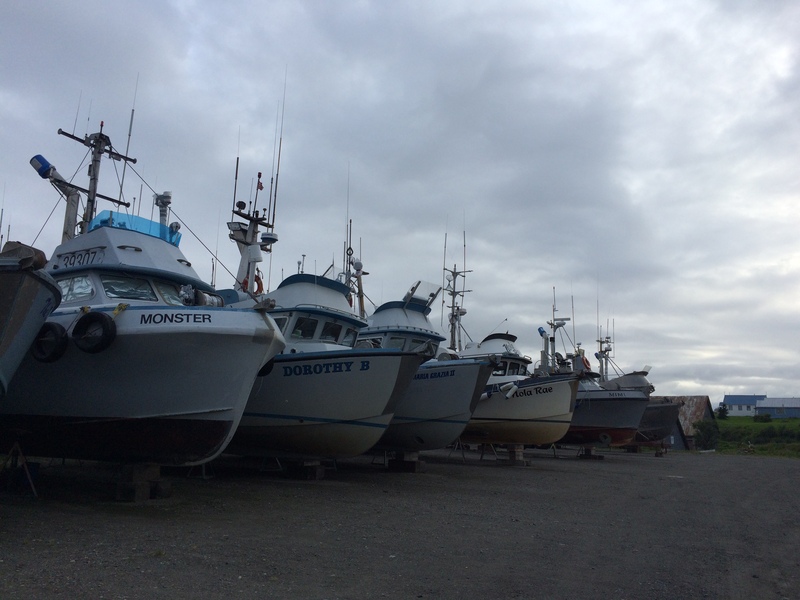 all these boats are on land currently, UNTIL the next big fishing season! 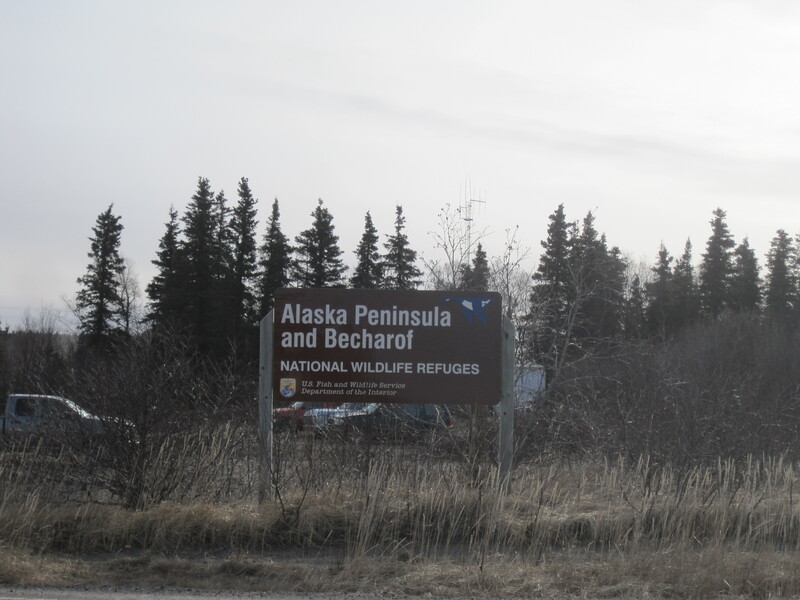 Bears: Katmi National Park and Preserve is home to Brooks River/Brooks Camp a famous brown bear viewing location. This area is home to over 2000 bears and in the summer many of them can be seen catching and eating fish during the summer! 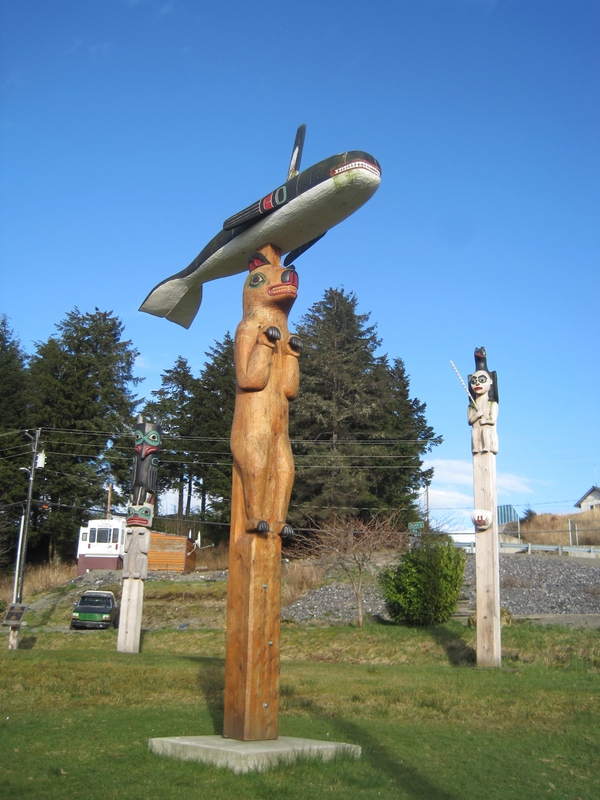 The other famous bear viewing area in the region is McNeil River. 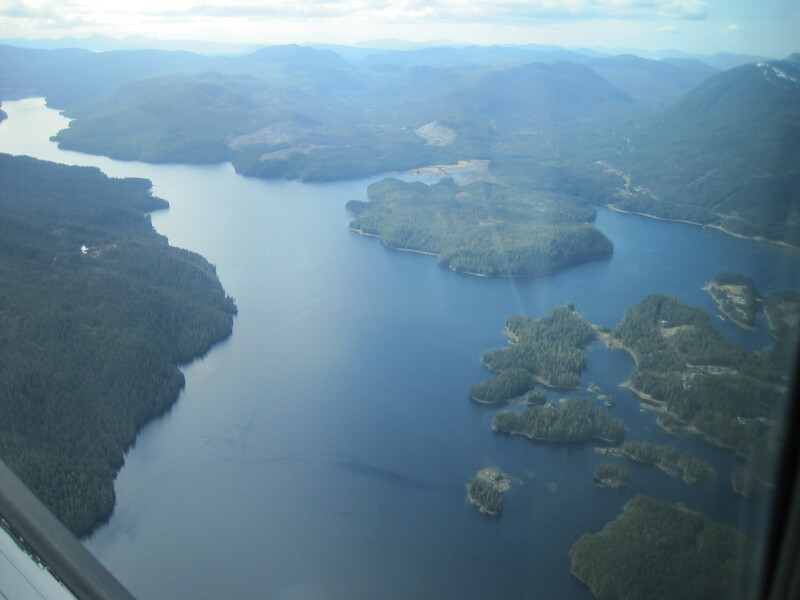 90 miles from King Salmon it too offers visitors an opportunity to see brown bears in their natural habitat. Though I did not get to fish on this trip, I did have a bear experience. As I was leading the workshop, a gun shot was heard, and quickly the superintendent defused any concern by stating “oh the bear must be around the building and we are just shooooing it away”! Only in Alaska! 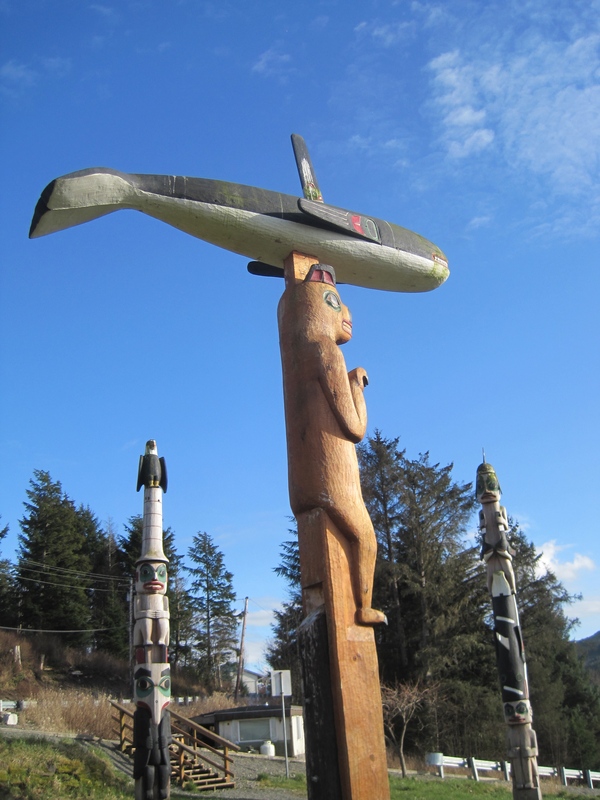 Klawock (originally called Tuxecan) was traditionally a fish camp for the Tlingit that inhabited Prince of Wales Island. 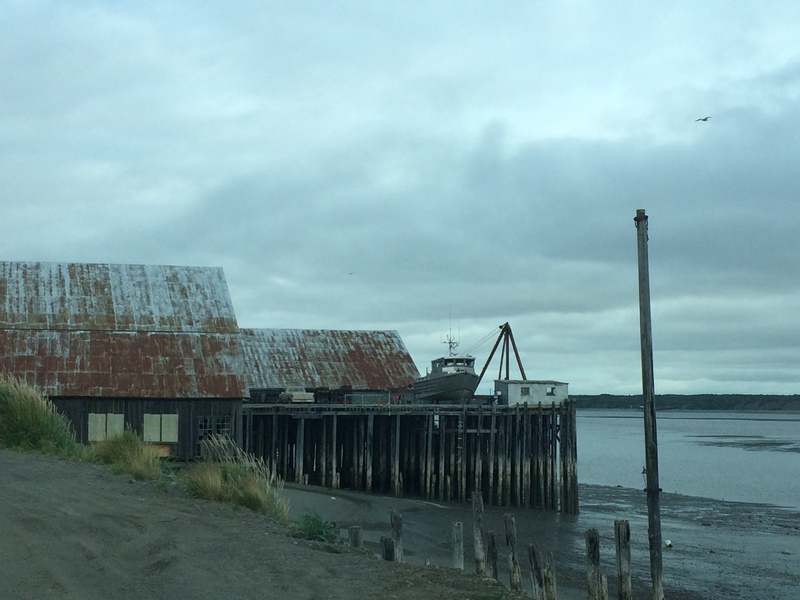 In the late 1870’s ‘white man’ came to the area and built a cannery. 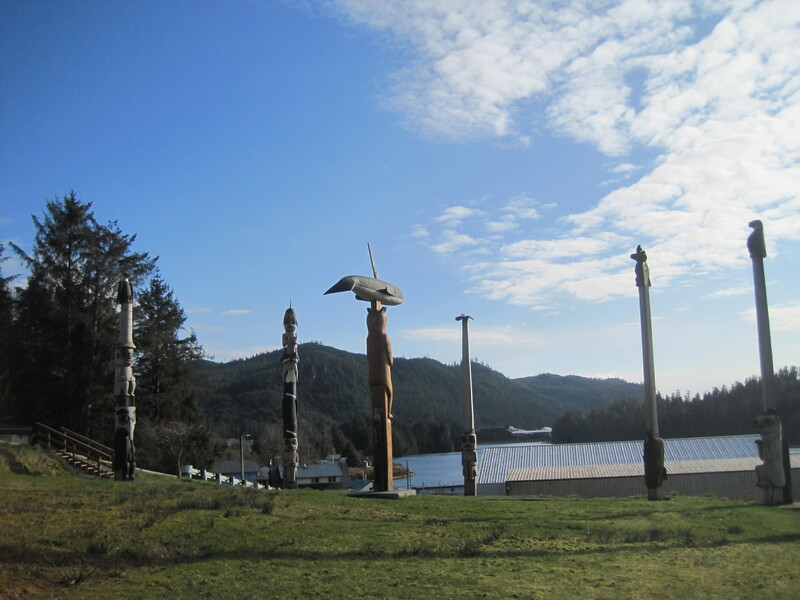 Prince of Wales island is the 4th largest island in the US and I am happy to say I have been to them all. Do you know what they are? (answers below). Klawock is one of a few communities on PWI. Craig, Hollis, Hydaburg and Coffman Cove, and are just a few. 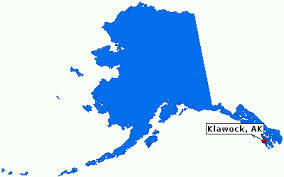 Klawock is home to over 800 people! 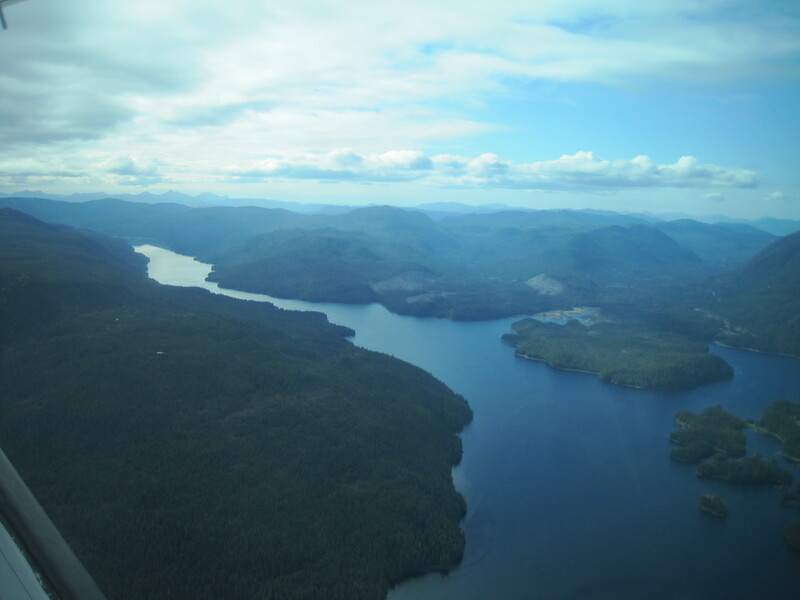 I flew to Klawock on a small plane from Ketchikan, it is about 50 miles. 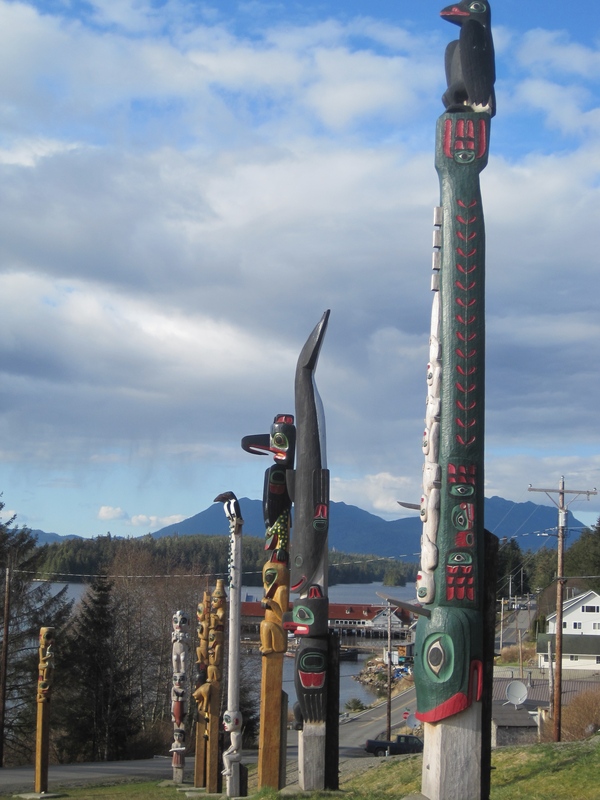 Culturally Klawock is strong in honoring the Tlingit ancestors. Yearly there is a celebration for Elizabeth Peratrovich as well as a summer “celebration of the sea’ event. 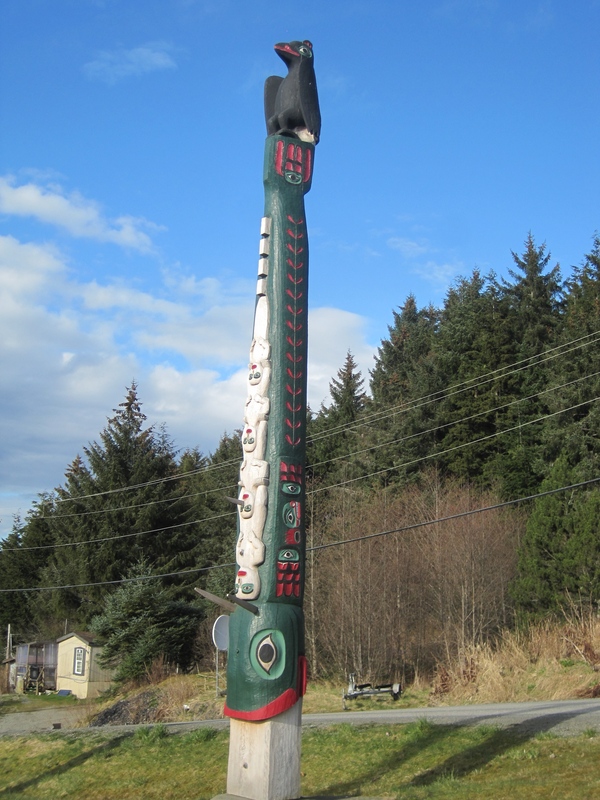 Much of Klowak’s population is Tlingit. 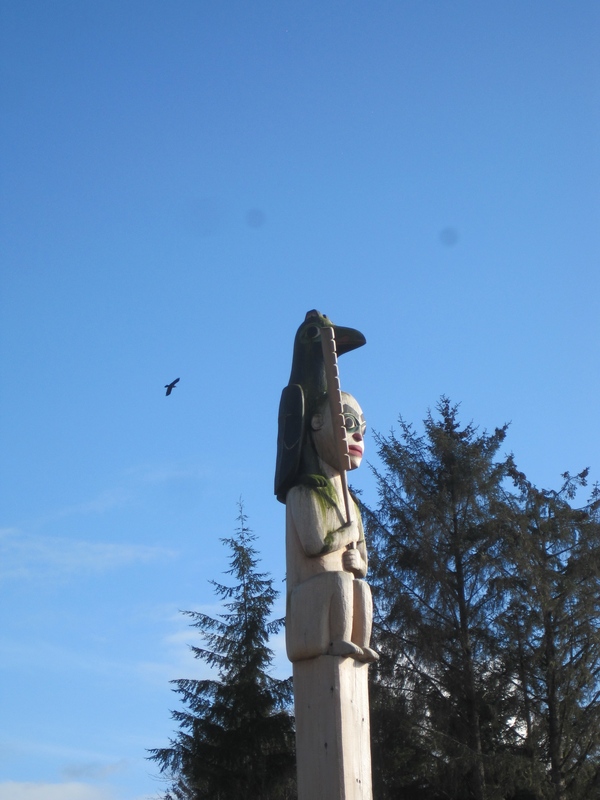 I was honored and touched to be able to walk around the Totem Park one evening. 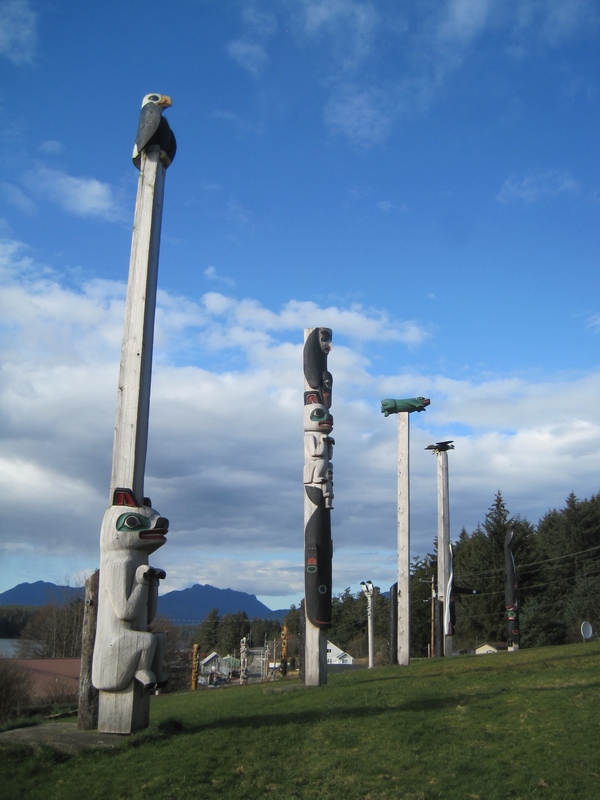 It is the largest grouping of authentic Alaskan totem poles in the world. 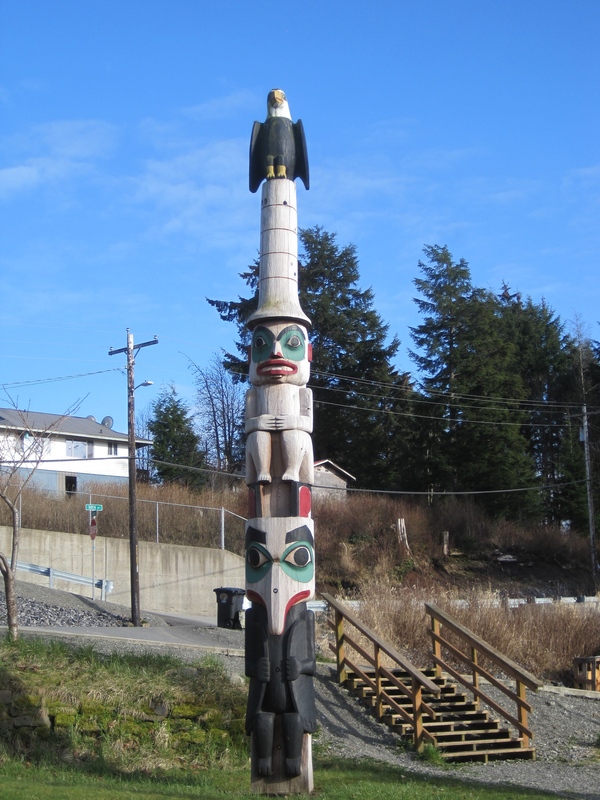 Many of the totems are identical to the original totems which stood in the area long ago. 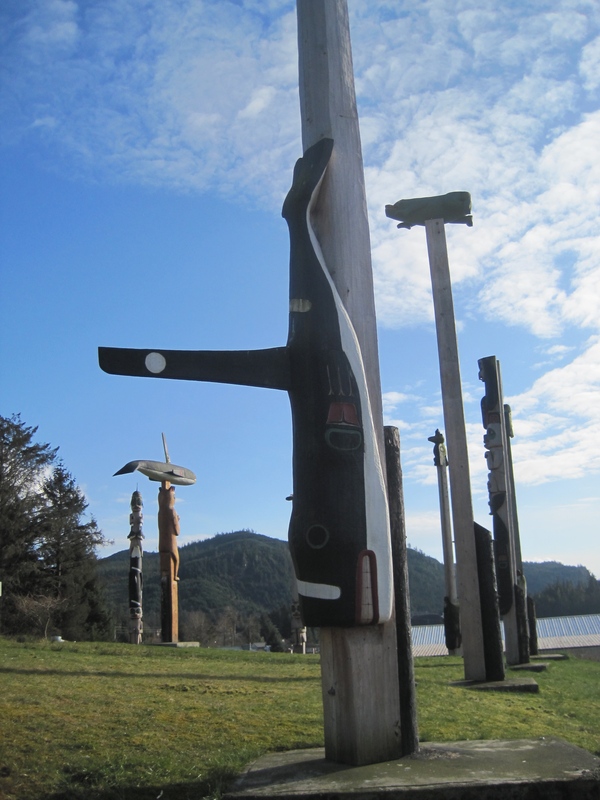 Others ARE the originals that were moved here in 2013 when the park was erected. 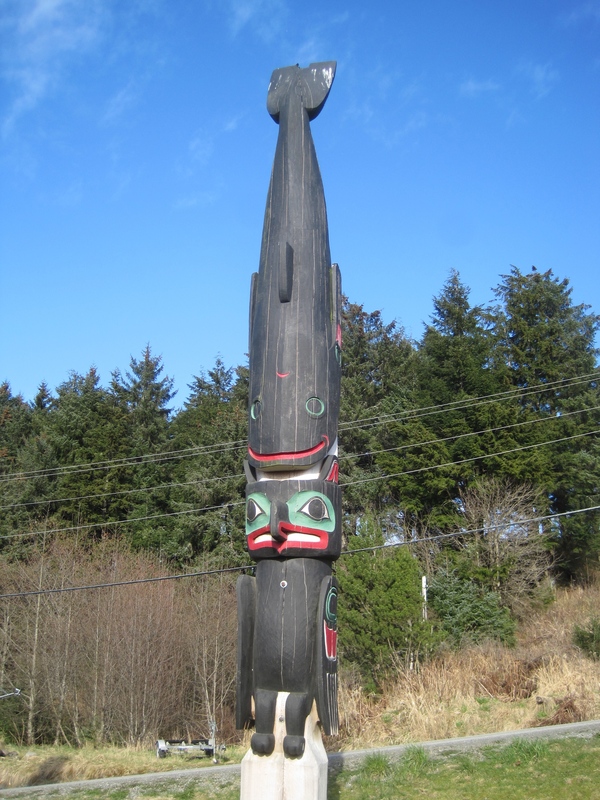 According to what I read, The first restoration of the Tuxecan totems occurred in the 1930’s when the civilian conservation corp. hired local Klawock natives to create the totem park and preform restoration of the 21 poles that existed at that time. 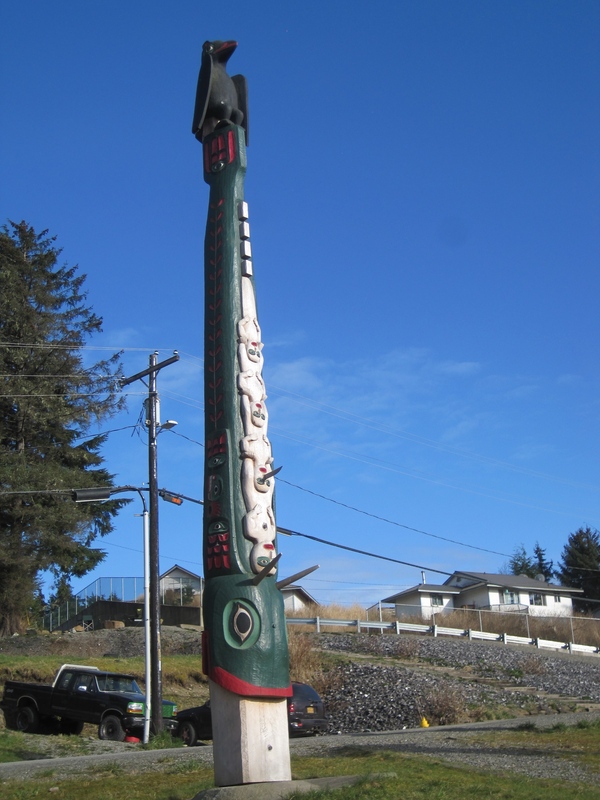 The poles that were raised in 2013 are the third generation of the poles that were first carved and stood in the old Tlingit village of Tuxecan. 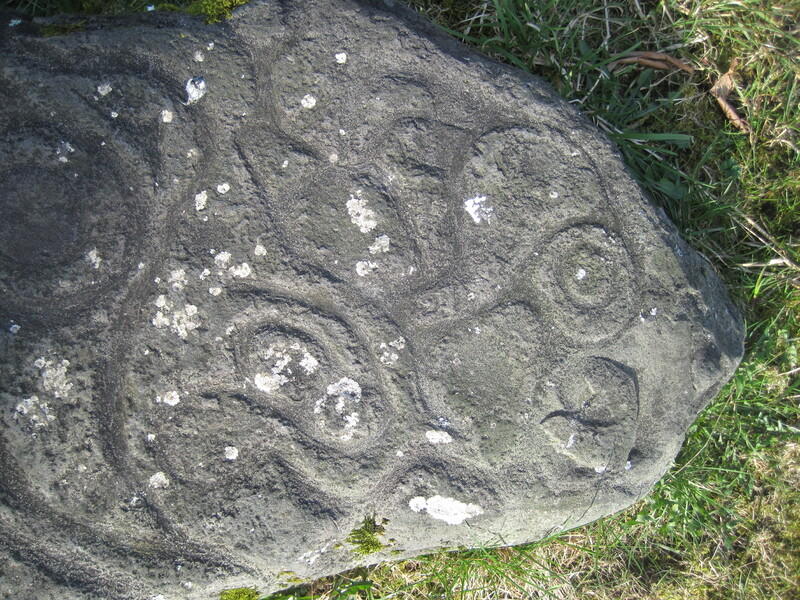 Here is an example of the petroglyph’s that are found in the area. 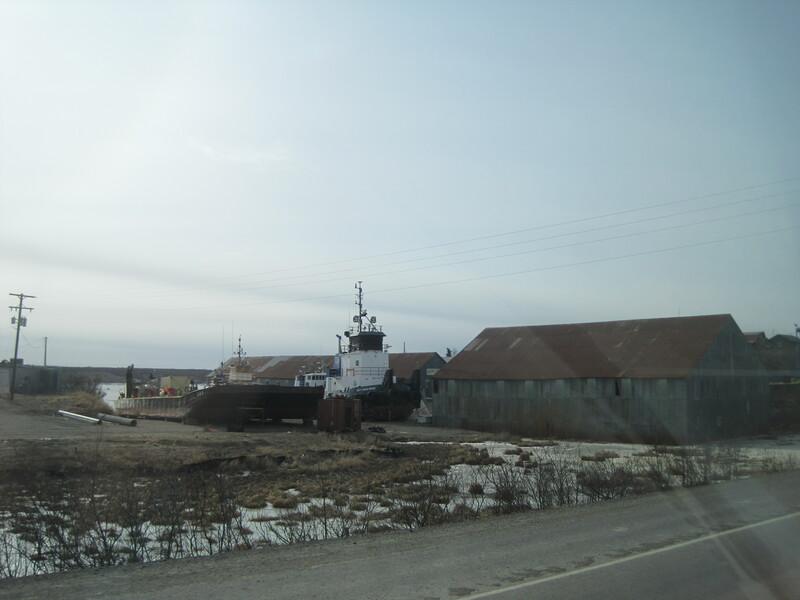 The sawmill and fishing are the big economy in the area and of course any time there are tourists it is a good thing. 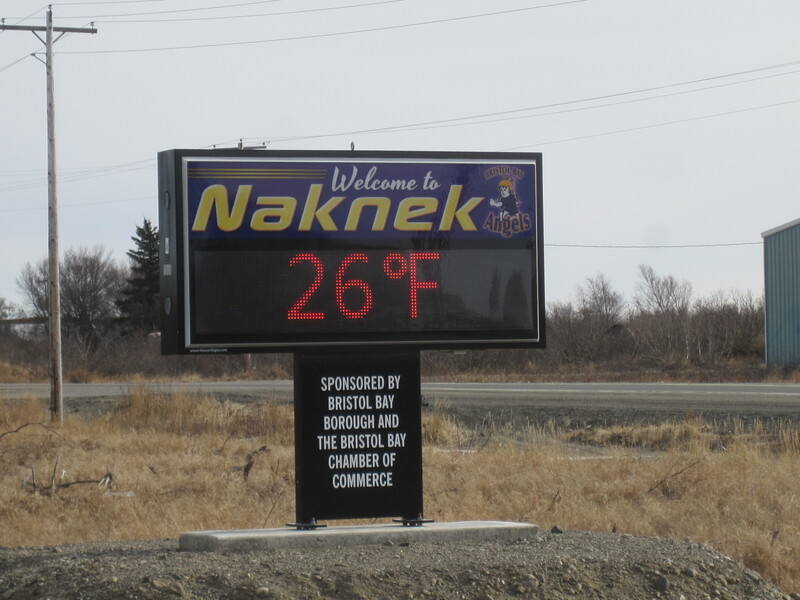 Where in the world is Naknek, Alaska??? 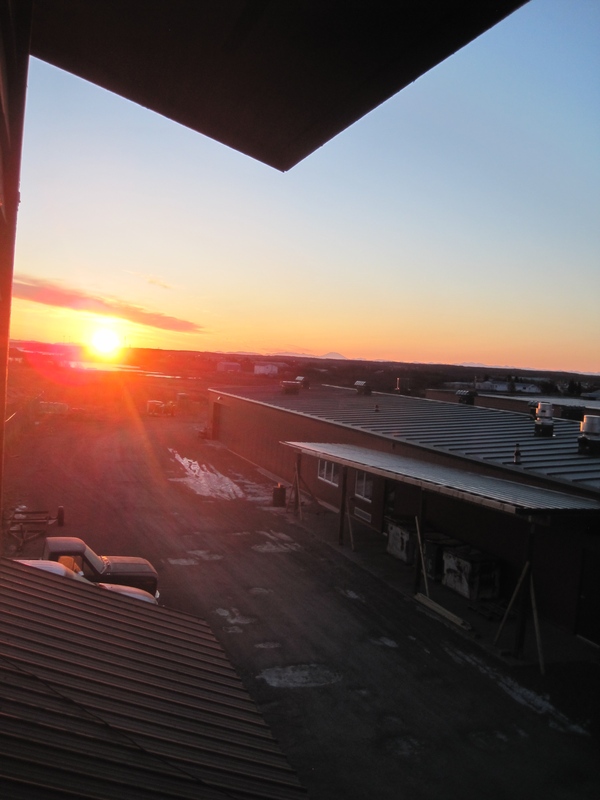 landing about 8:30 a.m. and watching the beautiful sunrise! town a tad deserted this time of year, but come July I bet it is packed. 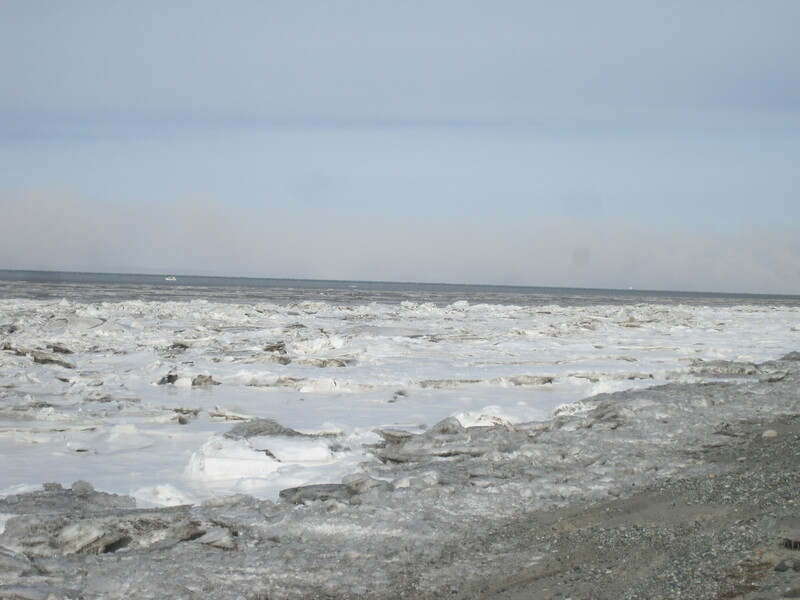 since it is salt water it does not freeze totally but since there is some fresh water feeding into the bay the fresh water will freeze and break up as the tide goes in and out. I heard they are putting a new museum in this building! 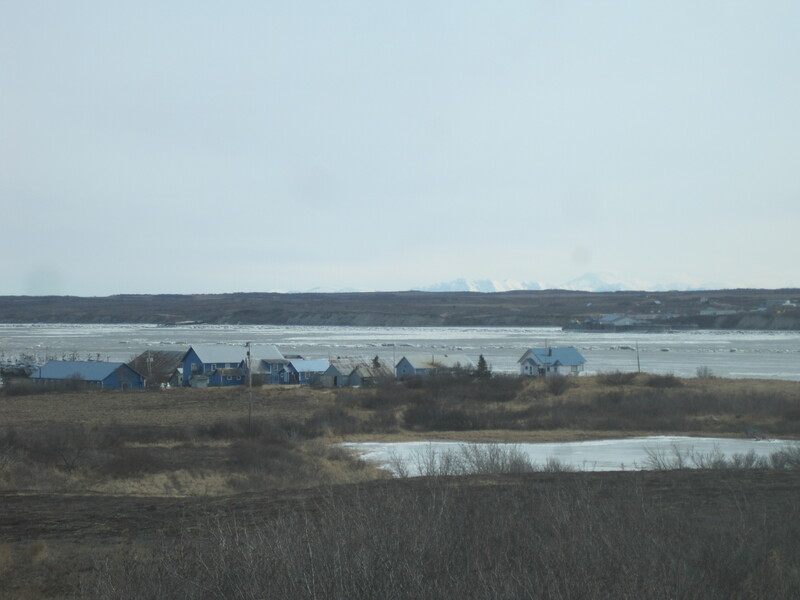 Naknek, Alaska is the home to Bristol Bay School district, I was thrilled to be able to go there and work with the board this spring. 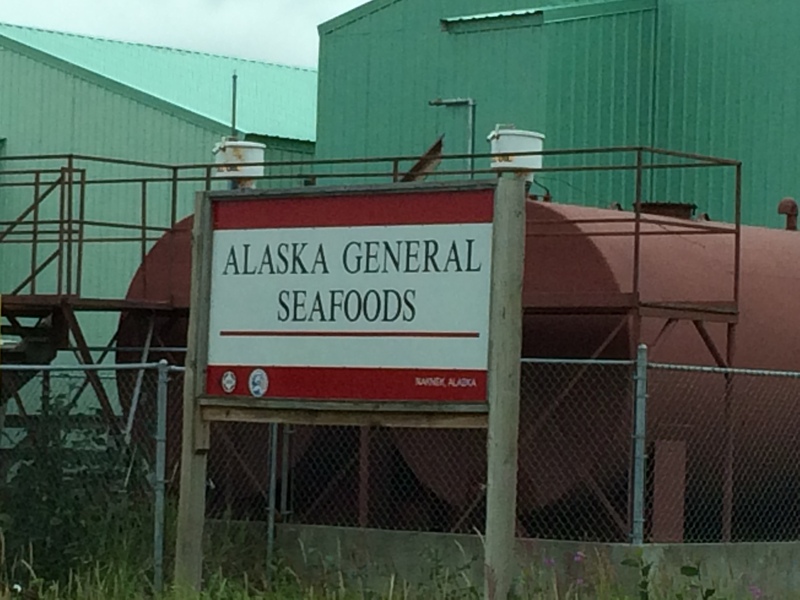 There are about 550 people that live in Naknek however they are also attached by road to King Salmon. I flew into the King Salmon airport. 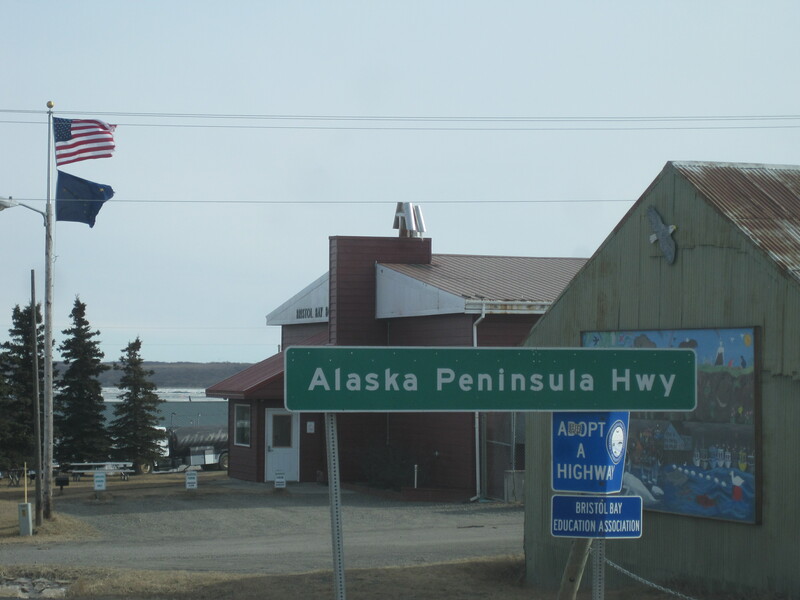 This land is the land of the Yupik and Athabaskan Alaska Natives. 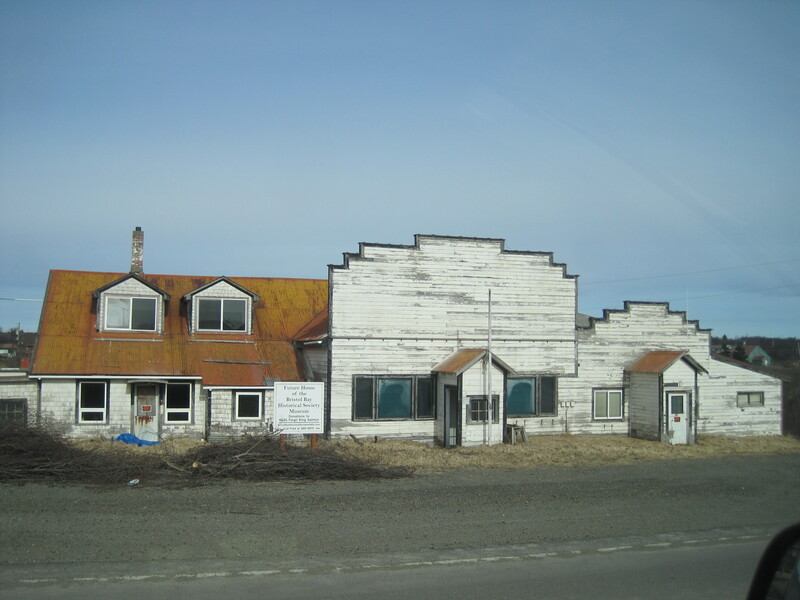 The community was known as Naugeik until the Russians came to the area in the 1800’s and changed the spelling to Naknek. 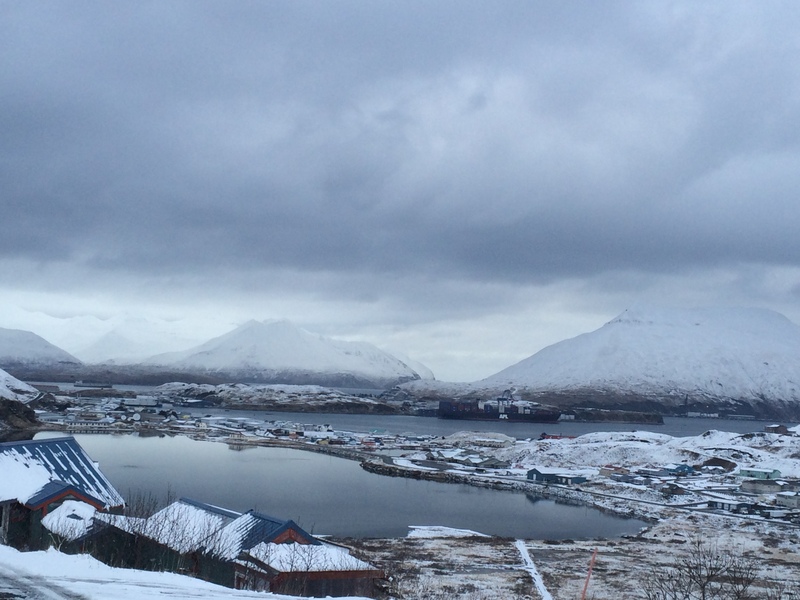 The area is known worldwide for it’s fishing! 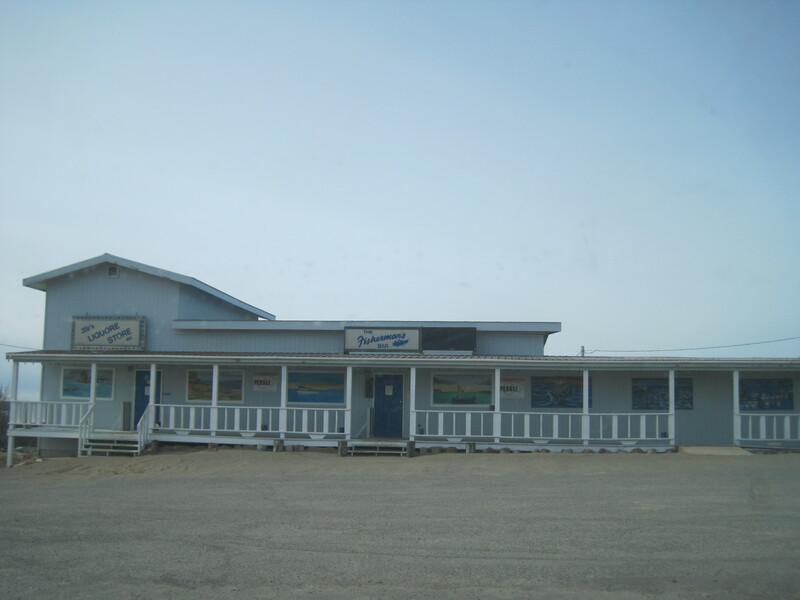 There was a cannery opened there in 1890 and there were 12 canneries at the height of business. 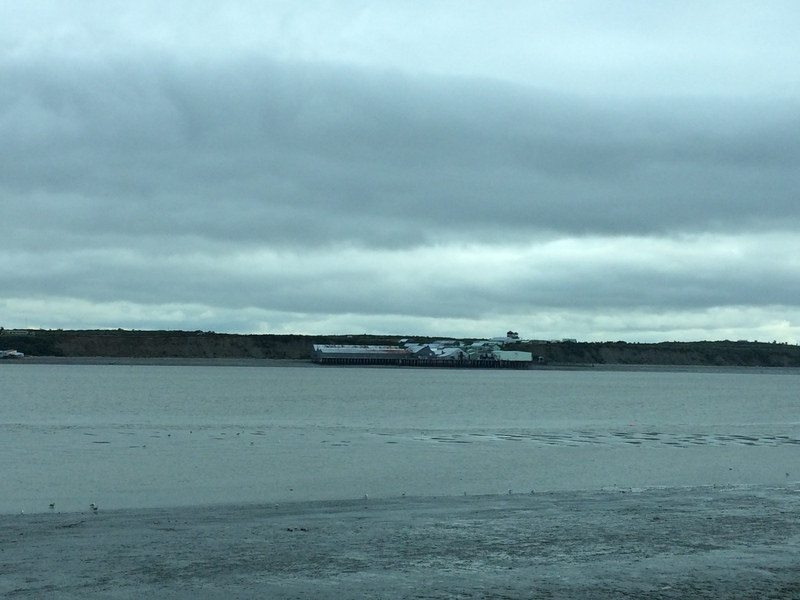 There are currently 6 processing plants left in Naknek. 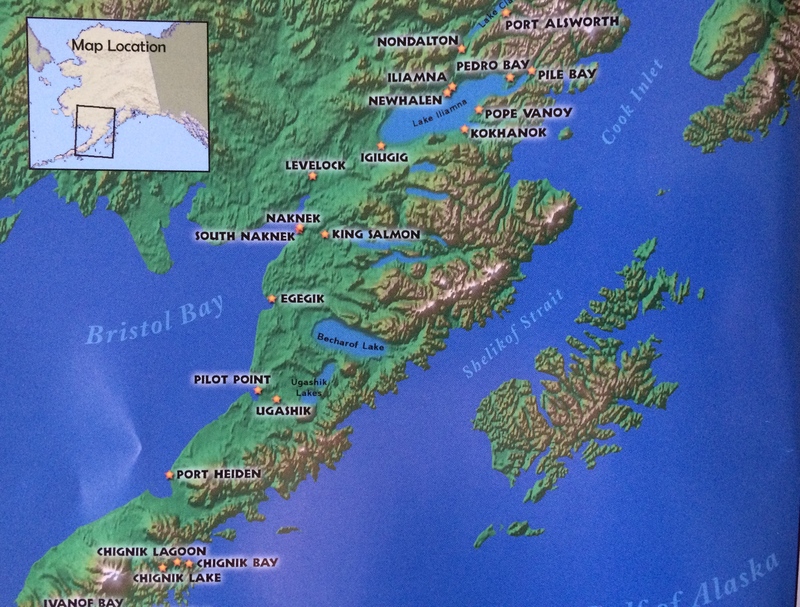 Noteworthy tidbit: About 70% of the world’s sockeye is caught here, mostly in July! 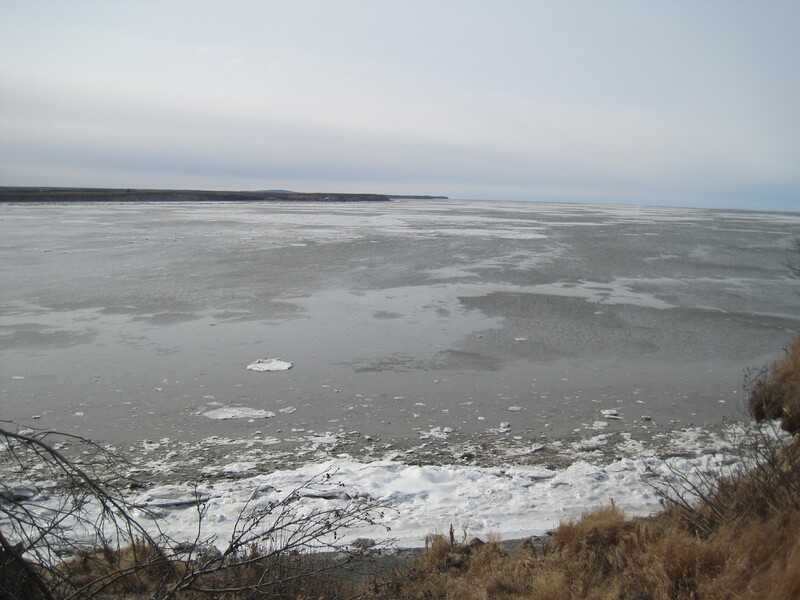 The Naknek River runs into the Kvichak Bay arm. I got to go and stand on the edge of the bay, the cold whistling winds whipped through the air making my eyes water a bit! For me and my job I found another fascinating fact; the superintendent and 4 out of 5 board members were born/ raised in the area. Can’t say that too often any more!